A bunch of roses has the ability to instantly put a smile on someone’s face. Giving someone a simple bouquet of flowers can change their mood, encourage a positive outlook and a great addition to your interior design which boosts your home’s value. In the home, use roses for the gorgeous fragrance and aesthetics that the addition of roses can make all the difference to completing the look of a room. One of the simplest ways to indulge to include them is to incorporate them into your decor with unique and modern styling ideas. Beyond displaying them in vase, there are so many different ways to use roses into your home design. Here are just a few of them. The sweet scent emitted from rose petals makes a great fragrance for a home. 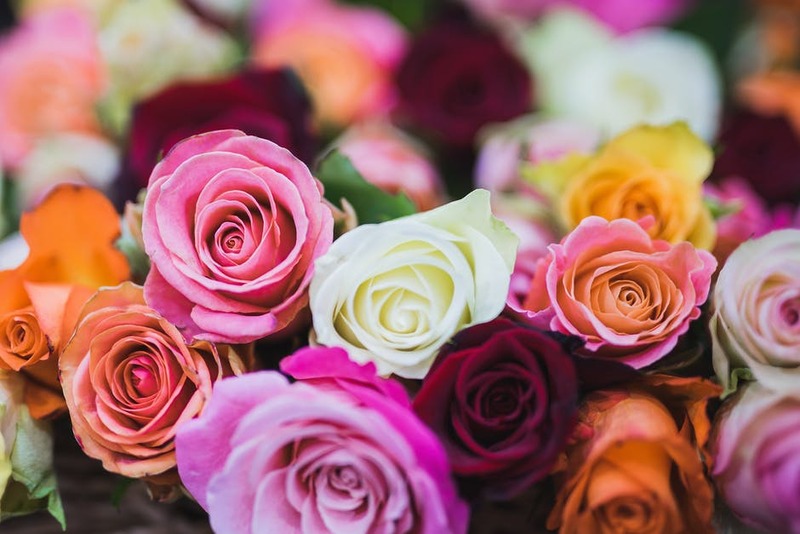 A fantastic way to use up old flowers and fragrance your home, making rose potpourri is simple and can actually be cost effective. You can choose to go with the traditional red roses or for a fruit or clove scent, opt for orange of yellow roses like the Hummer variety of yellow roses offered by Magnaflor. For added aesthetics, consider varieties such as Magnaflor’s Rainbow roses which will add viewing interest with its colors. This method does not necessarily call for fresh flowers either. You can reuse bouquets gifted to you or initially used for viewing and get the maximum use of them before tossing them out. For those homeowners who are considering being environmentally conscious, this is a great simple start in recycling. In addition, adding essential oils such as rose oil and lavender have been linked to anxiety relief and treat nervous exhaustion. It is also completely customizable according to your preferences. To begin, spread your rose petal on a sheet to dry, after which they are combined with the chosen aromatherapy oils and stored in a jar to mellow for up to a month. Everyone loves a good door wreath. Often associated with Christmas and autumn, why not try making a rose wreath? With the right color scheme it can be visually pleasing and inviting to visitors. Fresh flower wreaths can last up to a week and are quite simple to do at home. Similar to potpourri, wreaths are completely customizable according to your choice of home decor and color scheme. Its use does not have to be limited to just hanging on your entry but can be a great decor piece over your mantle or even on your sliding doors leading out to your garden/backyard. 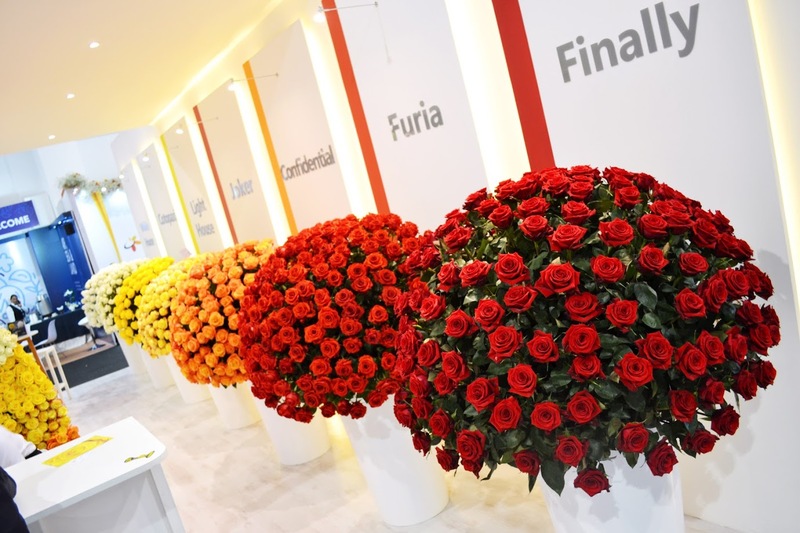 All you need is some foliage, chosen variety of roses, ribbons and wires/floral foam. Within 30 minutes you can have a lovely decorative piece to add to your living room or patio. Another way to add roses into the design of your home is to create unique centerpieces for your tables, in the dining room or living room. Floating flowers centerpiece are not new to the decor scene but are generally reserved for special occasions and wedding decor. However, there’s no reason why you cannot add them to your home decor for dinner parties or everyday life, especially since they are so easy to make. Magnaflor’s open garden roses are ideal for this decor idea to maximize the visual appeal. Using a shallow bowl and some bubble wrap, all you need to do is cut small circles of bubble wrap and attach it to your roses (which have been trimmed). Add it to your bowl of water and you’re done. Feel free to play up the visual appeal with this idea by using varieties such as the Optical Sunset rose or the Pluto rose. The appeal of roses is universal. Including them in your home decor has so many benefits for your health, mood and even your home’s curb appeal. With endless ways to incorporate them into your living space, you are bound to find one that fits in with your vision.